The weather has turned decidedly Autumn. Morning temps are in the forties and fifties. Afternoon highs are lucky to break into the low seventies. 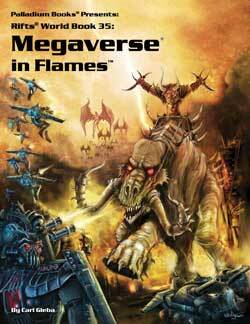 There is a crispness to the air and at Palladium Books, the atmosphere is pure excitement. 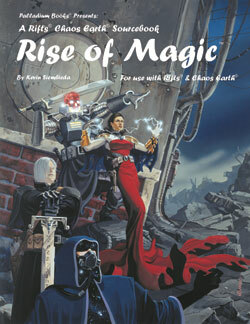 Ideas are flying and several dynamic titles are in development along with plans to get you those long awaited Beyond the Supernatural™, Rifts Chaos Earth®, Splicers®, Heroes Unlimited™ and Palladium Fantasy RPG® releases finished and in your hands between now and this time next year. 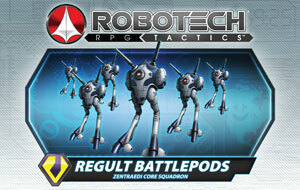 In fact, I have tentatively plotted out the schedule of our next 12 releases, starting with Graveyard Earth, Bizantium and the Northern Isles, Robotech®: Expeditionary Force Marines, Chaos Earth® Resurrection, Rifts® Secrets of Atlantis, and Chaos Earth® First Responders, followed by more titles. This list of 12 titles are all finished manuscripts awaiting final edit and rewrites so they can go to press over the next 4-8 months. It does not include titles still being written (like Rifts® Heroes of Humanity), under development (like BTS sourcebooks) or being retooled (like the Splicers® sourcebooks). I am determined to get good manuscripts off the shelf and into your hands as dynamic books. Other exciting stuff is brewing behind the scenes too, but we don’t want to jinx them by mentioning anything too soon. Suffice it to say that if everything goes well, the next few months of 2014 and all of 2015 are going to be filled with new game product releases and excitement. And that includes the 2015 Palladium Open House, which we hope to make spectacular. Check out the POH update a little further on. 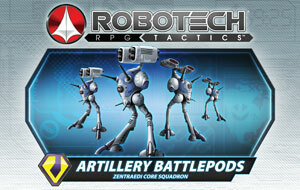 In these updates, I have been trying to talk about book releases and other things happening at Palladium Books because the BIG excitement is all about the release of Robotech® RPG Tactics™. And man oh man, now that product is starting to come in from our China manufacturer and ship out – first to our Kickstarter backers and later to retail – the excitement is palpable at the office. We are excited and proud of this product and dying to start getting it into the hands of ALL of our Kickstarter backers. After product is on its way to our backers, we can start thinking seriously about distribution into stores. Awesome. So without further ado, here is the latest news and updates. 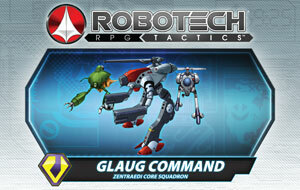 Robotech® RPG Tactics™ Container Two has arrived in LA and been cleared by US Customs. It should be put on a train on Friday and arrive in Detroit by the end of next week or the following Monday. Container Three is on the ship and at sea. We’ll bring it in by truck so we can get it shortly after Container Two to make sure everything is processed and shipped out at a rapid rate. Container Number Four was loaded yesterday and sent to the port in China to sail on Monday, and Five will be shipping a week later. 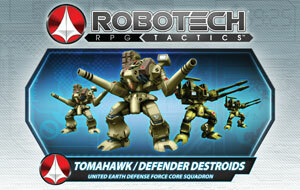 We’ve been working on and planning many other aspects of the Robotech® RPG Tactics™ game line. Jeff Burke went through the current tooling files of Wave Two items listing corrections and modifications that need to be made and sent them to the engineers in China. He has also been demonstrating the game at events. 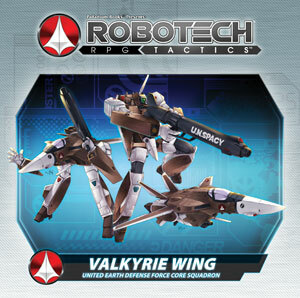 Jeff and Wayne are working on making some PDFs available online as well as putting together a FAQ (our thanks to Tom, Mike and Chase for their input on these fronts), and we have all been talking about future Robotech® game products and organized play. However, at the moment, our primary focus is shipping product to Kickstarter backers and the launch of the game in retail. Our thanks to the many fans, distributors and retailers who are offering us advice, suggestions and helping to make this all come together. We continue to learn and grow with your help. 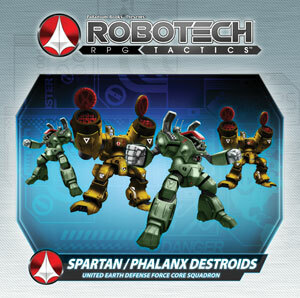 Here is a link to a How to paint Robotech® RPG Tactics™ thread from Chase, one of Palladium’s go-to guys for painting display and tabletop miniatures. So far, it is a lively discussion of painting techniques with more (and photos?) to follow. Here are more photos from Wayne’s trip to China too. 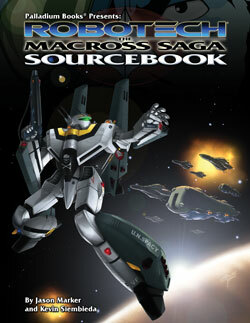 In addition to the Rifts® Ultimate Edition and various core titles, the following remain in demand: Rifts® Northern Gun One,/a>, Rifts® Northern Gun Two, both the limited edition hardcover and softcover editions of Rifts® Megaverse® in Flames™, Rifts® Vampire Kingdoms™, Vampires Sourcebook, D-Bees of North America™, the Dead Reign™ RPG, and all things Robotech®, among others. Nice. 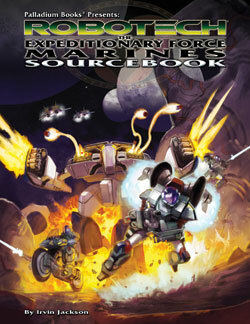 The Collected Mechanoid Invasion® Trilogy is also selling better than we anticipated. And we have all kinds of good stuff coming down the pipeline. Writers Carl Gleba and Matthew Clements are working on their contributions and suggestion for this book, while Chuck Walton putters around with concept art. I’m making notes whenever I can. This has already spun off ideas for future Rifts® books. 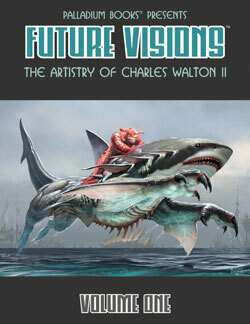 Matthew Clements’ initial edit and rewrite is done, and Chuck Walton’s cover is being tightened. Digital painting may have already been started. Meanwhile, I reviewed some files and have begun to assign the artwork for it. This will be a Fall 2014 release. I want this bad boy out by Halloween. This will be a Fall 2014 release. 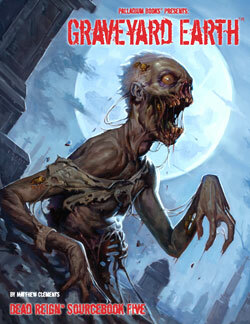 It’s another fun zombie title by Matthew Clements. 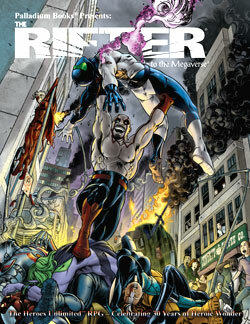 I approved the pencil sketch of the cover by John Zeleznik and he should be painting away. We are assessing material for it as you read this. 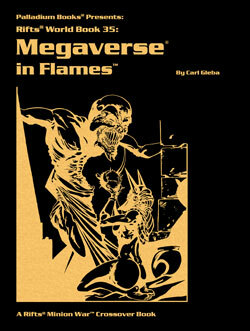 It should even include some “official” Megaverse® in Flames™ source material that was trimmed from the main book. The 2015 Open House is going to be freaking awesome. Take a look at the Palladium Creators who have already confirmed they will be attending. $87 additional for VIP Night – Thursday – May 14, 2014. The VIP Night always sells out within weeks, so make your reservation as soon as possible. First-come, first-served. VIP Night is a special, one-evening event limited to around 120 gamers – 70 are available to start. VIP Thursday, May 14, 2014: 3:00 P.M. till 12:00 P.M. NOTE: As has become tradition, we hold a number of VIP slots to be offered at a later date – typically February – so that gamers who decide to attend at a later date have a chance at getting into the coveted VIP Night too. You get the delicious meal catered by Palladium’s very own Kathy Simmons (people rave about her meals), plus you get an extra afternoon and evening of gaming (opens late afternoon), a more intimate chance to talk with Palladium staff, artists and writers, and first crack at rare collectibles, prints and original art. Rifts® turns 25 next year. 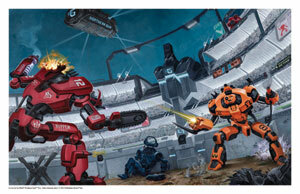 Looking for ideas on products and promotions for Rifts® at the Palladium Open House (POH) and throughout the year. Please voice your thoughts on the matter. That’s it for now. Enjoy your weekend and keep those imaginations burning bright.